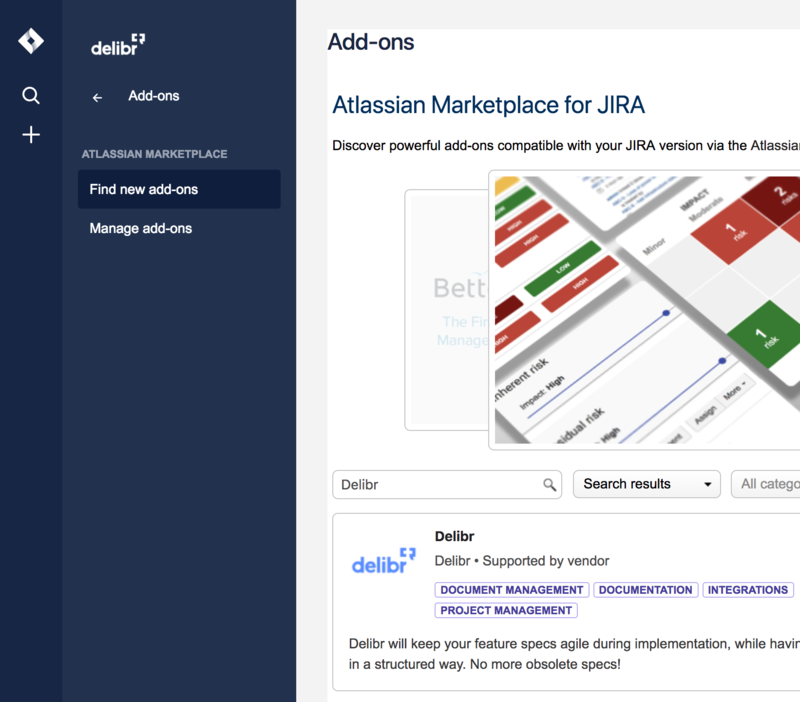 You can link Delibr with JIRA and create JIRA issues directly in Delibr. You can also link bullets to already existing JIRA issues. 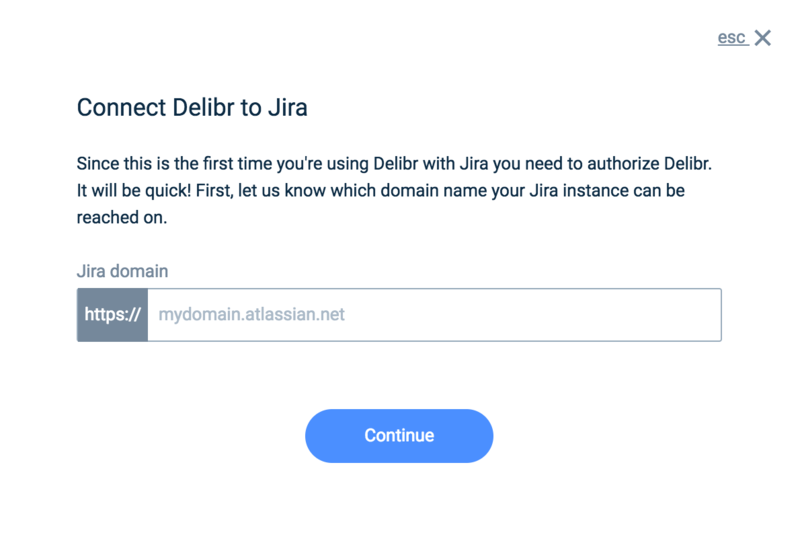 This guide will help you activate the JIRA integration via your Delibr account. Please note that you need to have Admin rights in Jira to set up an Application Link. If you don't, please ask your Jira administrator to follow this guide. Go to Application Links in Jira. Enter https://app.delibr.com in the "Enter the URL of the application you want to link to" and click "Create new link". Note that you will get a warning (There is a problem communicating directly between these two applications. This may affect the behavior of some integration features.). Just click "Continue"
Click Close in the Installed and ready to go dialog. 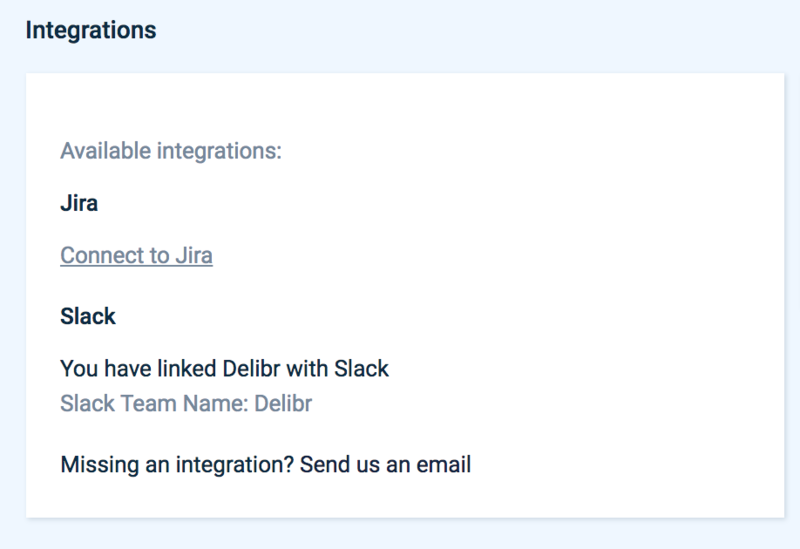 Find the integration section and click Connect to Jira. 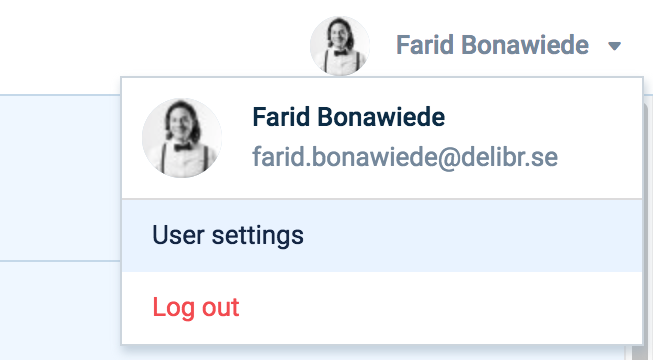 This modal will then open, in which you enter your Jira domain. Click "Continue" and then click "Connect to Jira" on the following modal. 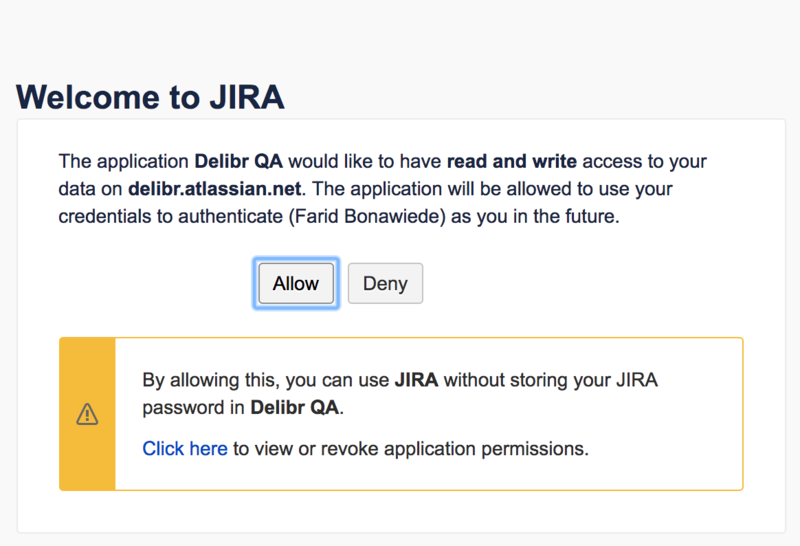 Now a popup should appear, in which you allow Delibr to read and write your Jira instance.